Reflective vinyl is not self-luminescent. 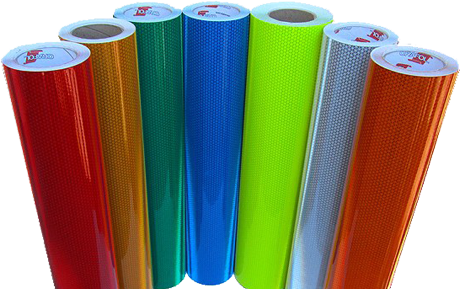 We supply a great variety of reflective vinyl that includes printable and different colors like blue,yellow,red,green,black. Its properties aren't apparent in normal daylight conditions. It's specifically designed to be visible at night when stricken with artificial light such as that from motor vehicle headlights.